The registry of the Swiss-Domains has set the 7th September 2015 as the beginning of the sunrise period. A business registration document, a Swiss trademark or an International Trademark valid in Switzerland is sufficient to apply for a Swiss-domain in the Sunrise Period. Additional costs of 250 EUR for the registration at the trademark clearinghouse must only be paid, if you use other trademarks than Swiss trademarks. 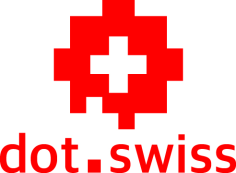 Here you can pre-register your name among the most important New Top Level Domains like the swiss-domain. Pre-registration is free, but binding. If we secure the name you would like for you, you must pay the domain fee. A company's name costs 199 US-Dollar. A generic name costs 3990 US-Dollar at the first year and 459 US-Dollars/year and domain in the following years. You must own a settlement in Switzerland in order to be eligible to register Swiss-Domains. By clicking at the button, you confirm a free, but binding pre-registration of (a) New Top Level Domain (s), which will cost at succesful registration between 199 US-Dollar and 3990 US-Dollars/domain and year and that you have read and accepted Trade Conditions, Registrants Rights and Responsibilities, the Uniform Domain Name Dispute Resolution Policy and the policies of the registry for .Swiss.